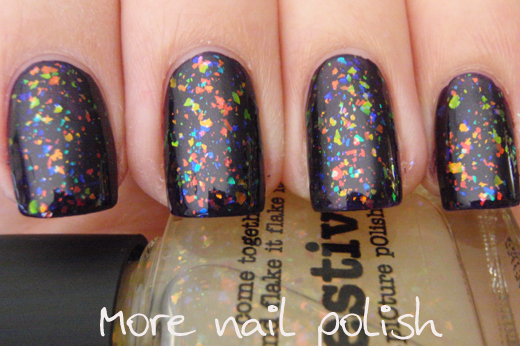 Finally, here is my post with my top 11 polishes from 2011. I absolutely loved reading everyone's posts about there favourite polishes from the year. It's so subjective because I know there are polishes out there that I saw on other people's blogs that would have made it into my top 11 easily (hello Lynderella), but because I never got them before the year finished, I can't count them. Which is a shame, because I wont count them next year as I'm trying to keep the list to polishes released in that year. I think these were all released in 2011, maybe the last two weren't? These are my favorite polishes, or polishes that really stood out to me because they were unique and nothing else similar at the time. I can't say that all these polishes would be in my all top 20 all-star polishes. Some, yes, but not all of them. But that's a post for another day. So, in no particular order, here they are. Chanel Graphite - The Fall collection from Chanel was really something special for me. I tried to pick a favourite from this collection, but I couldn't. Chanel Peridot - I love gold polish and this gold duochrome is just perfect in my opinion. Just the right amount of warmth, not to yellow. 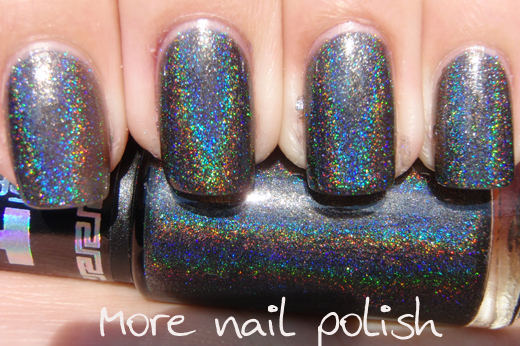 Such an amazing polish from Chanel. Ulta 3 Orchid - The Ulta3 Sping/Summer collection had one doozie of a polish. 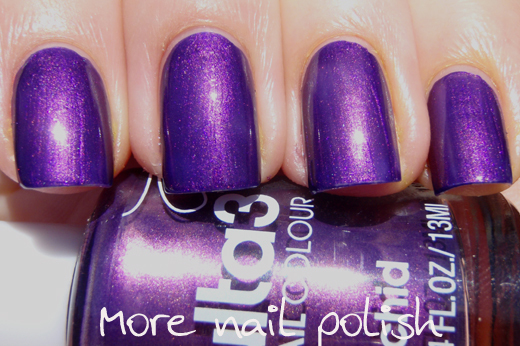 Orchid is the most perfect one coat purple shimmer polish. It really is a one coater that you can run out the door with. Such an amazing colour and only $2.25. Hits Zeus - The HITS No Olimpo Collection was one of the stand out collections from this year for me. Lots of awesome polishes in that bunch! I chose Zeus as my favourite today, tomorrow I might choose a different one. OPI Excuse Moi - I haven't even worn this on it's own yet, but this polish still makes my top 11 for the year. I think this polish made me fall in love with glitter polishes all over again. I've actually seen this one of quite a few other peoples lists too. Essence Blue Addicted - Wow a Deborah Lippmann Across the Universe dupe for around $2, it doesn't get much better than this. I love how deep and inky the jelly base is, yet it doesn't dull the glitter even a tiny bit. Picture Polish Festival - Now I really could have put Cult Nails Clairvoyant here with Festival, but the fact that I haven't actually worn it yet to photograph, made it really hard to include in my list. Therefore it's Aussie cousin Festival get's the position. Multi-coloured flakies are awesome, and now, just like the crackle phase, so many polish companies are jumping on board and releasing flakie collections. Ozotic Elytra 528 - Ozotic did a great job with the Elytra polishes. They were something unique and different that they bought into the market. After these we saw a few more very nice duo and multichrome glitters, like the Kleancolor chunky holos, but these Elytra polishes paved the way. My favourite of the bunch is 528. 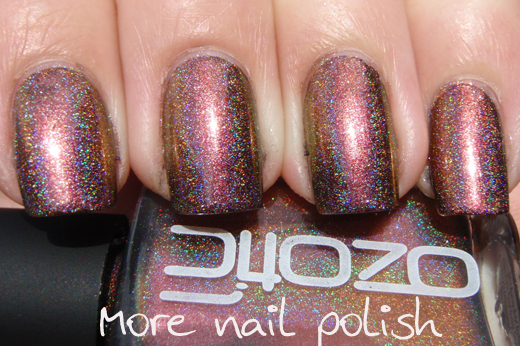 Ozotic 515 - Ok, I'm not exactly sure whether this was released in 2011, I know I certainly got it in 2011 and it became widely available through Picture Polish in 2011, so that will do for me. 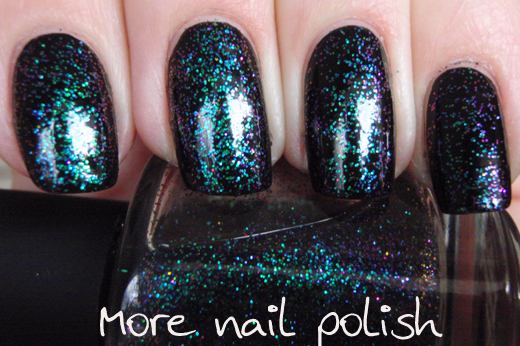 Seriously there is nothing more to say about this polish. 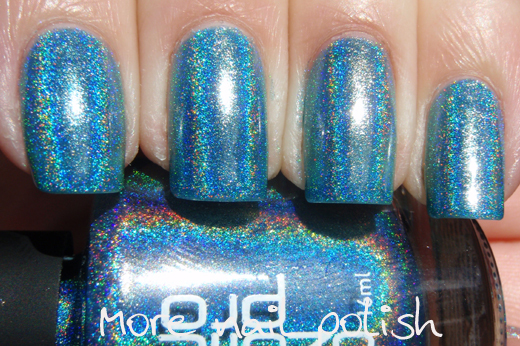 Orly Lunar Eclipse -This collection was released very early 2011 I think, at least that's when I got it. 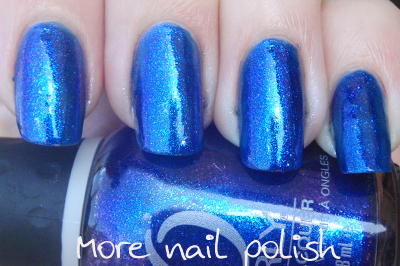 This poor little sad photo (from when my blog post photos were small, my nails longer and rounder) still shows the amazing glowiness of this polish. This was my favourite from the Cosmic FX collection. So there you have it. 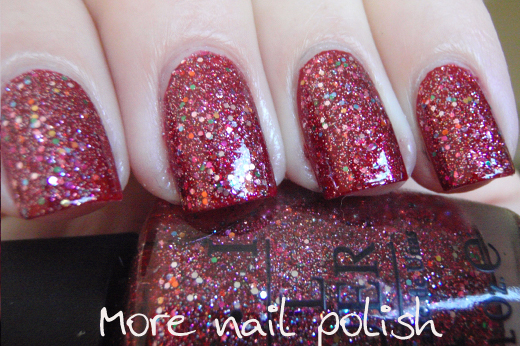 My top 11 polishes of 2011, delivered to you on 11 January! 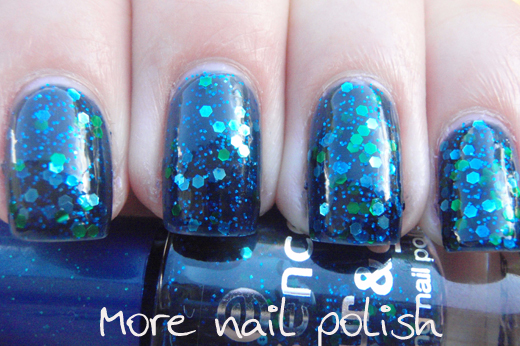 Stay tuned for another top 11 of 2011 of my favourite franken polishes from the year! It's very difficult to chose only one, they are all amazing! I am all about HITS Hefesto. I've got a skittles manicure right now with Zeus on the dark colors and Hefesto on the lighter ones, and Hefesto just shines more. I do tend more towards vampy colors, so I really don't know which is gonna get more use in the future. My next splurge is probably gonna be the Ozitic Mish Mash. Holo + multichrome? Yes please!